Once again this year the Orioles and Chick-fil-A have teamed up to celebrate Opening Day! Monday April 4th marks the start of “O’s Days at Chick-fil-A”. 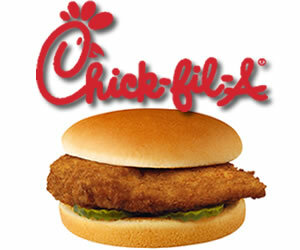 Orioles fans wearing Orioles logo apparel can visit any participating Harford County Chick-fil-A on Monday April 4th, 2016 between 11 a.m. and 7 p.m. to receive a free original chicken sandwich. Simply wearing orange does not qualify for the free sandwich; apparel must be Orioles branded. ← 2016 Discount Amusement Park Tickets from Harford County Parks & Rec!